Available for purchase now. The 2016 Row By Row fabric license pin. 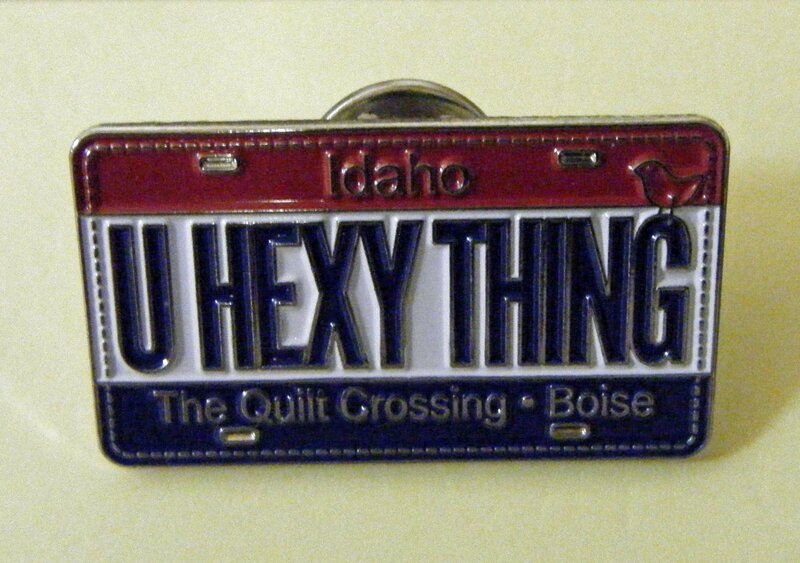 The pin contains our own unique 2016 vanity saying "You Hexy Thing" , our shop name and home city.